Retail chain Toys 'R' Us has announced it is to stock the Elonex eTouch tablet in the UK with the device becoming the cheapest Google Android powered tablet on the market with prices starting from just £90. Undercutting the price of the Next and Disgo tablets by almost £100, the Elonex eTouch will be available in two forms, a 7-inch device priced £89.99 and a 10-inch model that will cost wannabe tablet initiates £149.99. Both devices have a distinct iPad knock-off look about them. 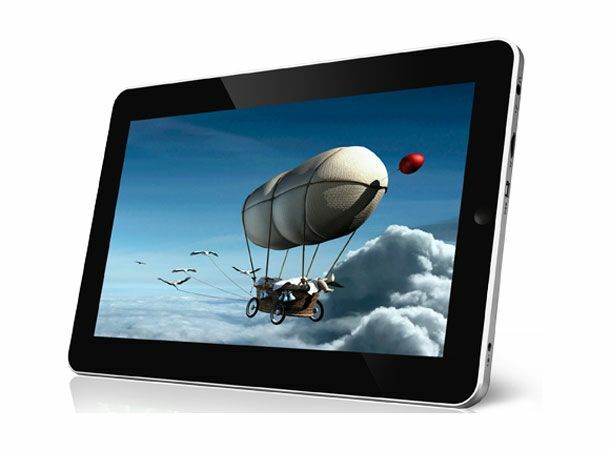 Featuring a 1GHz ARM 11 processor and a 2GB solid state drive expandable via microSD card, of which a 2GB card is included, the 10-inch Elonex eTouch tablet also comes equipped with Google's Android 2.1 mobile operating system, Éclair, and miniUSB, USB 2.0 and 3.5mm audio jack ports. “This is yet another new, exciting and innovative product that we are confident to bring to our sales floor. It is important that Toys 'R' Us inspire this young and inspirational market offering the best affordable products on the marketplace”, declared Toys 'R' Us Marketing Director Mike Coogan on the new tablet offerings. With Toys 'R' Us entering a key sales period as the festive rushes begin, the introduction of the Elonex eTouch could be a clever ploy to get parents to splash out on themselves when picking up a few gifts for the kids. Are you thinking of dropping your festive dosh on a tablet? Let us know which tablet device takes your fancy via the T3 Twitter and Facebook accounts.